I was happy to be recently chosen as one of the "50 Mainers Leading by Example" in the July 2017 issue of Maine magazine. Click here to read the article. 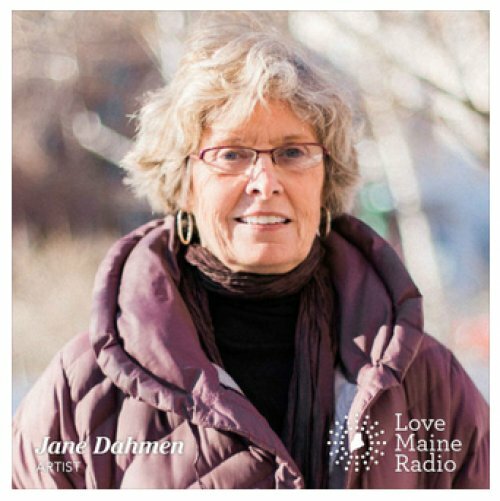 Jane Dahmen, who moved to Maine in 2004, is a contemporary realist whose recent landscapes explore the trees, fields, rivers, streams and coastal regions of midcoast Maine. Dahmen's work has been shown in solo and group shows both in the U.S. and abroad. Dahmen was Maine Audubon's signature artist in 2005, and was a featured artist in the September, 2009 issue of Maine Home + Design magazine, and their Artists' Issues of 2011 and 2012. She was featured in the September 2014 issue of Old Port magazine. One of her paintings hung in the White House in Washington D.C. in the late 1980's- 1990's, and several of her paintings were part of a show at the U.S. Embassy in Bosnia Herzegovina in 2002. Graphique de France sold posters of her work all over the world during the 1990's and early 2000's. Dahmen's work is part of numerous private and corporate collections all over the world. She has lived and worked in Newcastle, Maine since 2004. 1985 Attended School of the Museum of Fine Arts, Boston, Massachusetts. 1963 BA: Art History. Colby College, Waterville, Maine. 2002 Bosnia-Herzegovina, Arts in Embassies Program, "Maine Rest"
2009 "Nature's Cathedrals" Maine Home + Design magazine, by Suzette McAvoy Sept issue. 2002 "Maine Rest," catalogue for Art in Embassies Program Exhibition, Bosnia-Herzegovina. Published in Washington, DC. 1996 "Happy Frolics, Paintings by Jane Dahmen," Concord Monitor, Christine Hamm, Oct. 31. "Dahmen's Works Offer History of Techniques," Boston Sunday Globe, Gail Kelley, Oct. 27. 1995 "Lighthearted Exhibit at Gallery House," Lincoln County News, Betty Ensign, July 20. "Primitive Style Marks Whimsical Paintings of Tuscany, Mexico," Boston Sunday Globe, Mark Sullivan, June 18. "Traveling by Canvas with Jane Dahmen," Concord Journal, Nina Nichols, June 15. "Delicate Environment Inspires Artist," Concord Journal, Ellen Denison, May 11. 1991 "Concord Artist Goes International," Charlotte Floyd, Minuteman Chronicle, Dec. 7. "Dahmen's Paintings are a Feast for the Senses," Miles Unger, Boston Globe, May 19. 1988 "Images of Maine" by Robert Masterton. Catalogue published of exhibition at Portland Museum of Art, Portland, Maine, April 15. 1984 "Concord Artist Created UNICEF Card with a Flair," Peter Holland, Concord Journal, June 7.